One new gTLD, .website means "website", which is so clear and identified without nay other hidden meanings, that any website can use it. Also, it is regarded as a powerful complementary for .com. Currently, websites have become a necessary of modern life, so .website has the time characters. .website directly shows the "website" meaning wihtout nay other explainations, and now it has been understood in 8 languages. 这个域名无需多做解释，非常直观得代表了“网站”的含义，并且能被世界上超过8种语言理解。.website being concise and comprehensive makes users hard to forget your websites. .website can be used for individuals and enterprises, suitable for all market segaments including tech, retail, fashion, and car industry. 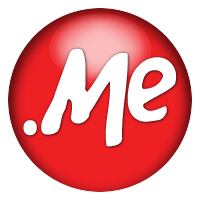 .website is a new international TLD, regarded as a perfect alternative for .com, becuase it has rich resources and great appreciation space.